Jason Aaron, the writer of The Mighty Thor and The Unworthy Thor for Marvel Comics, has in our view been on a five-year roll in penning the adventures of Jane Foster (The Mighty Thor) and Odinson (The Unworthy Thor). A significant crescendo of Mr Aaron’s long and slow operetta came with The Mighty Thor #700. We have been following this story for some time and indeed it is almost two years to the day when we wrote our first review of Mr Aaron’s work on The Mighty Thor. 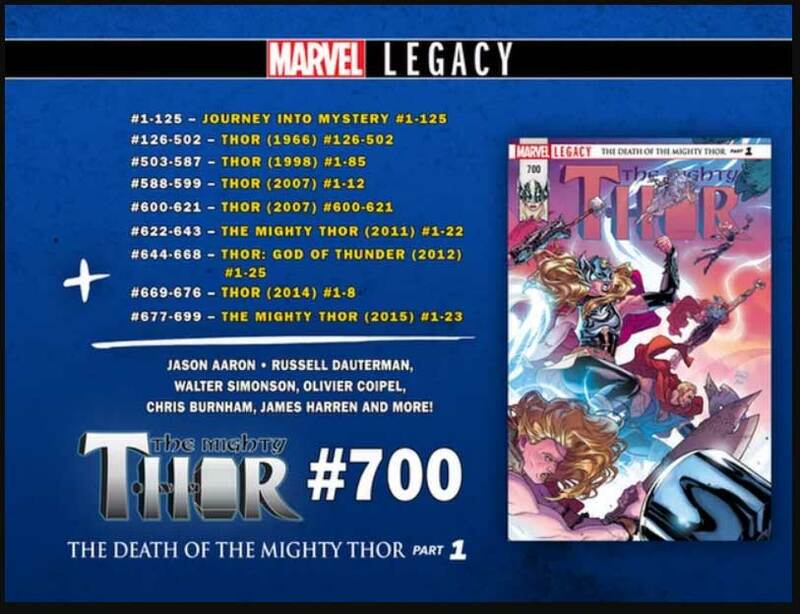 Issue 700 seemed to promise the death of Thor, whose alter ego, Jane Foster, is in the final stages of cancer. 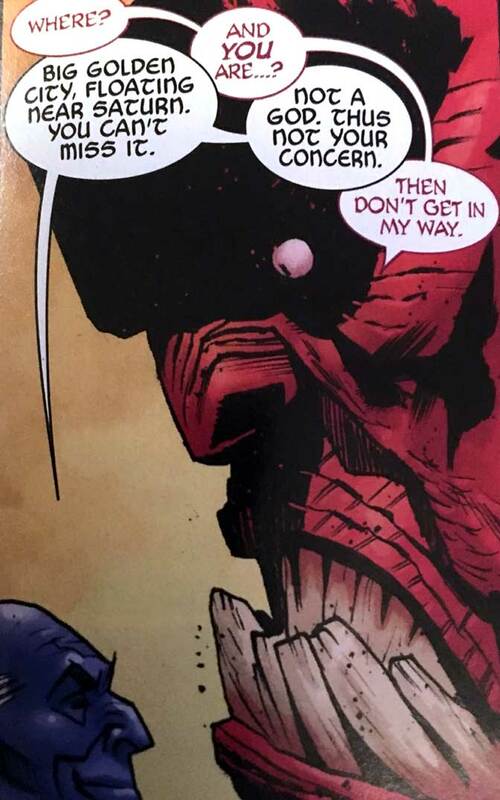 But instead, the ongoing multi-dimensional war waged by the dark elf Malekith and his human and demon allies only claimed the life of a longstanding adversary in the annals of Thor: Karnilla, Queen of the Norns. Karnilla finds herself arriving by longboat in the land of the dead, where she is greeted by its pale king, Balder the Brave. 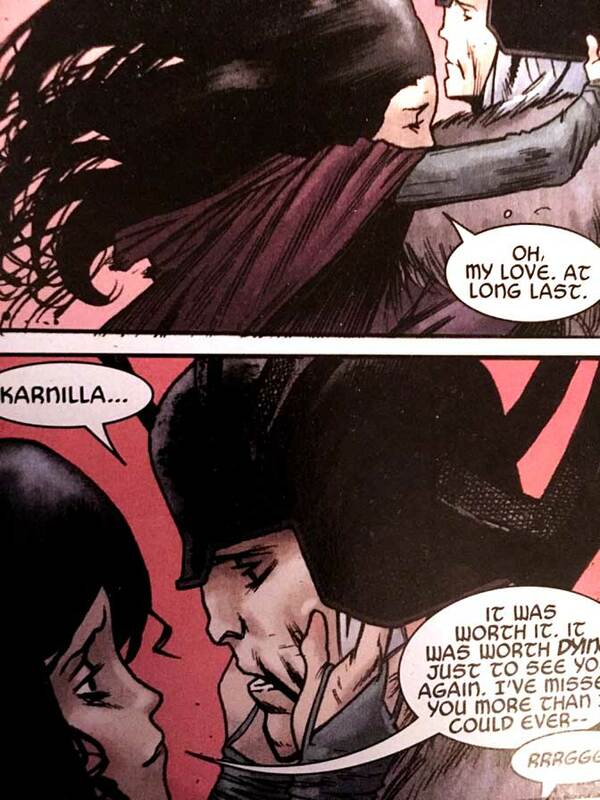 When Balder was alive, Karnilla had what could only be described as an unhealthy obsession in securing his affections. It seems that has survived into the afterlife. After the party of issue 700, we expected a hangover in issue 701. That did not occur. The utter defeat of the War Thor by Mangog and the mangling of the War Thor’s hammer is a serious plot development. However, while we know wars can be longstanding affairs, the overarching plot of the death of millions of different beings across several dimensions has become weary. Issue 700 might have brought us to a new plot. But the war keeps dragging on, featuring new atrocities with each issue (this time, the aerial firebombing of combatants hiding in a tree line, reminiscent of a scene from the Vietnam War). The introduction of Mangog into the story is an extension of what has gone before, not a storyline. Why a shell game with the issue numbers? Marvel Comics is presently promoting a publication event called “Marvel Legacy” in which renumbering of long-standing titles plays a part. The emphasis is upon the longevity and history of the publisher’s characters and their adventures: quite far removed from the usual trick of generating sales by recalibration of the numbering back to one, thus making the first issue both collectible and an easily identifiable point of embarkation for new readers. We also wonder if this exercise is a form of fan management. Many longstanding readers of Marvel Comics have expressed dismay at the phasing out of much beloved superheroes and their replacement by ethnically and gender-diverse characters. It is possible that this is an exercise at emphasising that Marvel Comics have not forgotten its history and traditions.